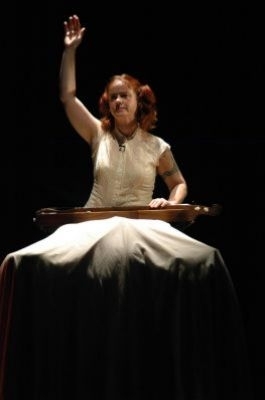 Pretty Polly is a fiercely rousing dance set to the live music of Appalachian singer and dulcimer player Raige Pierson. 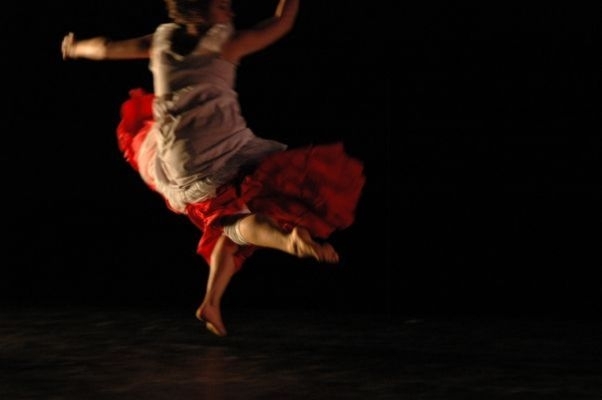 Esther Baker-Tarpaga’s choreography takes the audience on an emotional journey as the performers embody the love and violence of “Pretty Polly” and “Shady Grove,” 150 year old murdered girl music ballads. 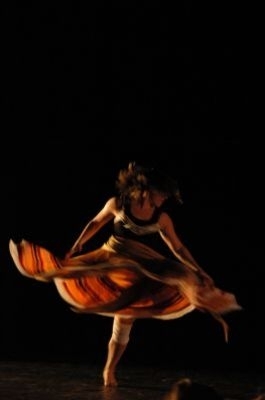 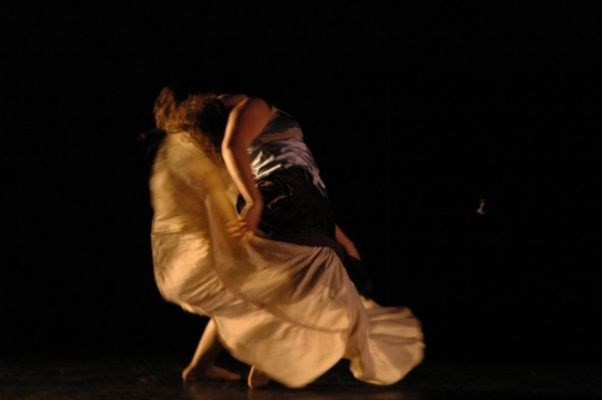 The dancers perform fearless partnering, ensemble work, and solos while wearing big skirts and creating strong fusion with Raige Pierson’s soulful Appalachian sounds.